This is a Rare Find within the Popular Ocean Reef Resort with Everything Included in the Monthly HOA Dues. This Oceanfront Queen Parlor Unit features a Double Bay Balcony along with a Second Balcony. This extended balcony space gives you views of the Great Atlantic Ocean for Miles and Miles. Even though this is an efficiency unit, the setup makes it feel like a one bedroom with a living area allowing space for several guests to enjoy. The kitchen comes equipped with all your major appliances so that you can cook in if you decide to relax and chill after a long day of playing on the beach. 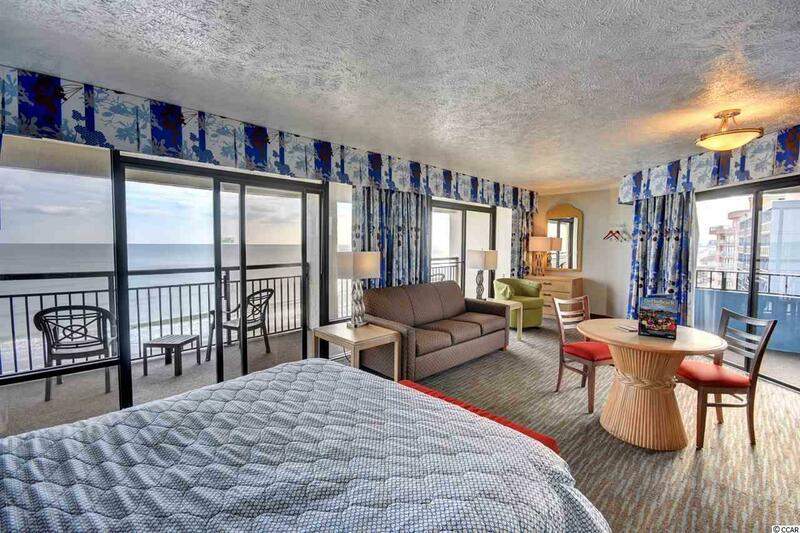 The Ocean Reef Resort has several amenities to excite the entire family. 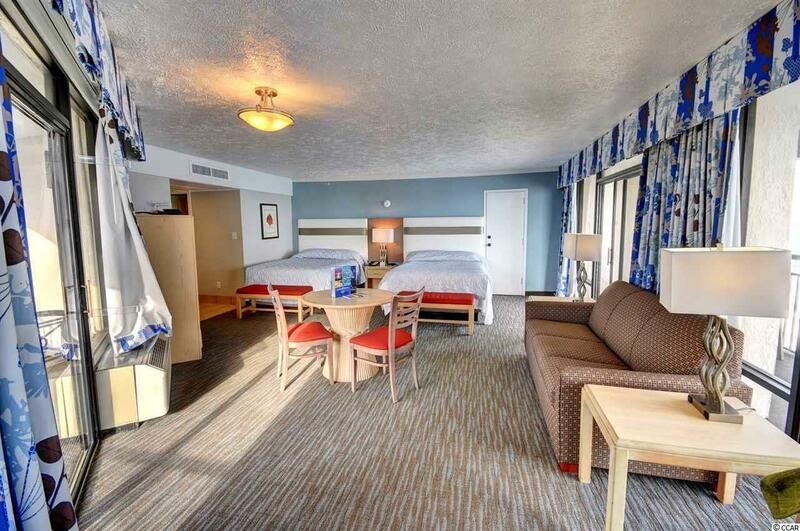 There are indoor and outdoor pools, hot tubs, a lazy river, and water park areas. You don't even have to leave the resort to dine with an onsite restaurant and bar area. 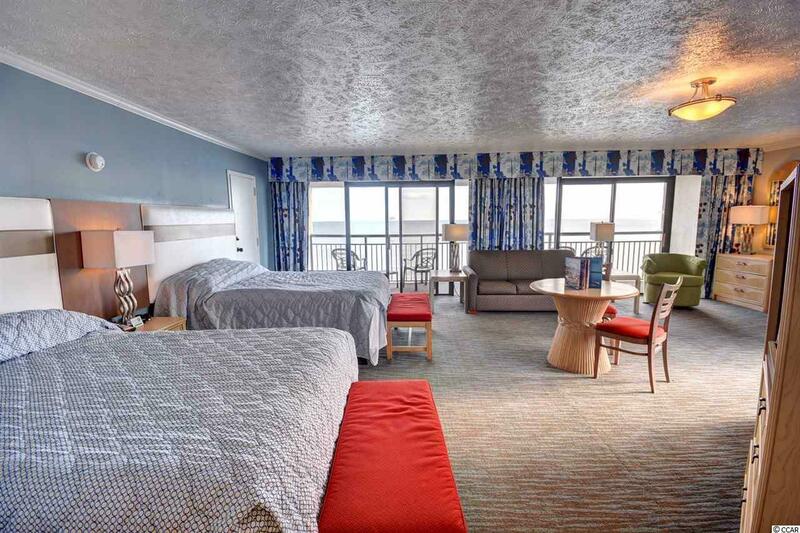 It has been Voted one of the Best Family Resorts along the Grand Strand because it has something for Everyone. 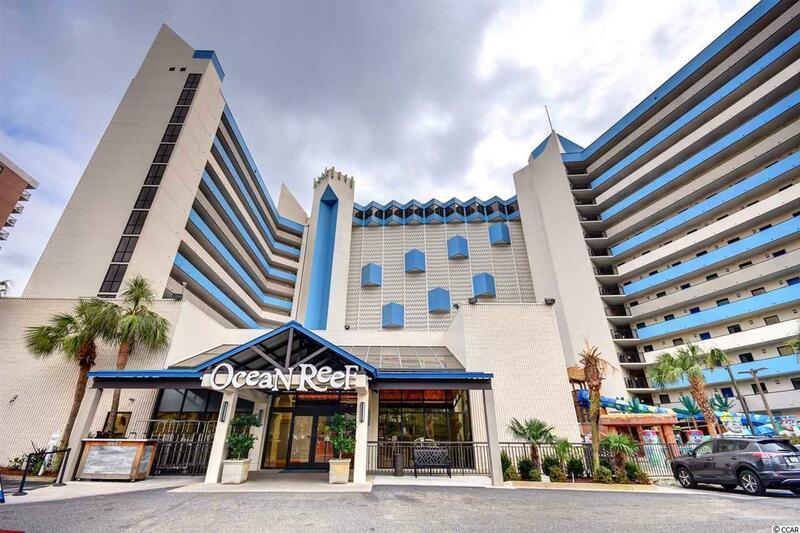 If you do decide to venture outside of the resort, you don't have far to travel because this resort is located just minutes away from the Best Shopping, Dining, and Entertainment that the Grand Strand has to Offer. This would be a Great Investment Opportunity or Home Away from Home, so Don't Miss Out on Viewing This Slice of Paradise TODAY! © 2019 Coastal Carolinas Association of REALTORS® MLS. All rights reserved. IDX information is provided exclusively for consumers' personal, non-commercial use and may not be used for any purpose other than to identify prospective properties consumers may be interested in purchasing. Information is deemed reliable but is not guaranteed accurate by the MLS or The Hoffman Group. Data last updated: 2019-04-21T08:20:11.087.